​The chemical industry generates more than $770 billion per annum, making it the largest of any industry anywhere on the globe. It’s also one of the most heavily-regulated and intensive trades, which makes staying abreast of all developments imperative for professionals. This site gathers the most relevant and compelling chemical processing news, and contains hand-picked information that’s useful to industry professionals who are responsible for operating, maintaining, and managing some of the most complex facilities in the world. ​In a global market, there are numerous agencies to maintain compliance with. Nearly every other industry relies on chemical engineering in some way or another, which means that there are dozens of regulatory bodies and thousands of guidelines to follow. In the interest of safety and eco-consciousness, these regulations are continually updated. As a broad-range online chemical engineering magazine, this site will host the latest developments and anticipated changes, so that decision-makers can take the steps needed to be prepared or become compliant. News regarding individual companies and facilities will also be available, so professionals are aware of important industry happenings and events. ​Learn about the latest advances in technology and practices. To enable readers to be at the forefront of innovation, new technology, products, and procedural methods will also fill the pages of this site. With detailed data and the most-current research, facility managers can then make educated decisions as to which trends are most beneficial and cost-effective to be incorporated into plant development planning for optimal growth. 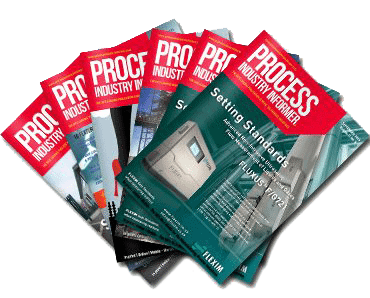 Regardless of niche or sector, chemical engineering and processing professionals will find the latest cutting-edge information packed throughout the pages of this site. The archives will also grow to become a library of data, for easy research later. To keep on top of developments in the chemical industry as they happen, be sure to bookmark this site for quick retrieval.